This and other reviews can be found on Reading Between ClassesCover Impressions: This cover has that beautiful, magical feeling that keeps me coming back to this genre. I love the natural background and the simplicity of the barefeet. The yarn adds a wonderful pop of color and the tendrils on the font give it just that little extra detail.The Gist: The Van Ripper women have always been strange. Living in The Stitchery - a run down home in Tarrytown, New York, they walk the line between the modern world and the realm of magic. The women in the family have the ability to knit spells, an ability they share with the people of the community - at a cost. Holding the town's secrets sets the Van Ripper women apart, sometimes even from each other. When the death of the family matriarch brings the three sisters home once more, they must learn to live with one another and with impact their decisions will have on the family for generations to come.Review: Every now and then, I feel the need to leave behind the world of YA and jump into an "adult" book. Usually when I am enticed to do this, it is by a book in the Magical Realism sphere like this one. 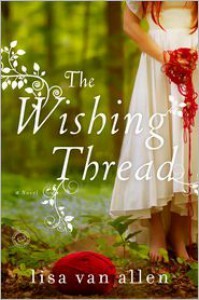 The Wishing Thread is a wonderful story of three sisters and what home truly means. I loved the world of these women. The Stitchery had that run down feeling where magic can bury itself deep in the walls and permeate the very existance of each person who steps foot there. The sisters are all strong and unique characters with their own strengths and weaknesses. I loved getting to know each one of them and watching as they embraced what their hearts had known all along. There is a touch of romance in The Wishing Thread but it never overpowers the main story. The love interest is a kind and gentle man, willing to support Audrey in her endeavors and never balks at the idea of magic. I really enjoyed how the women weave their spells in a very subtle but powerful way. This is the kind of magic I love reading about - the everyday magic that takes work and sacrifice but reinforces the strength of the women who wield it. 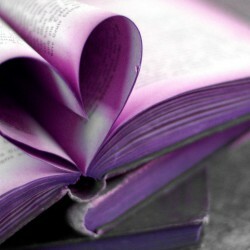 The Wishing Thread is beautifully written. Lisa Van Allen has a wonderful majesty over language and weaves the story together seamlessly. I will be looking forward to whatever works she is planning in the future.